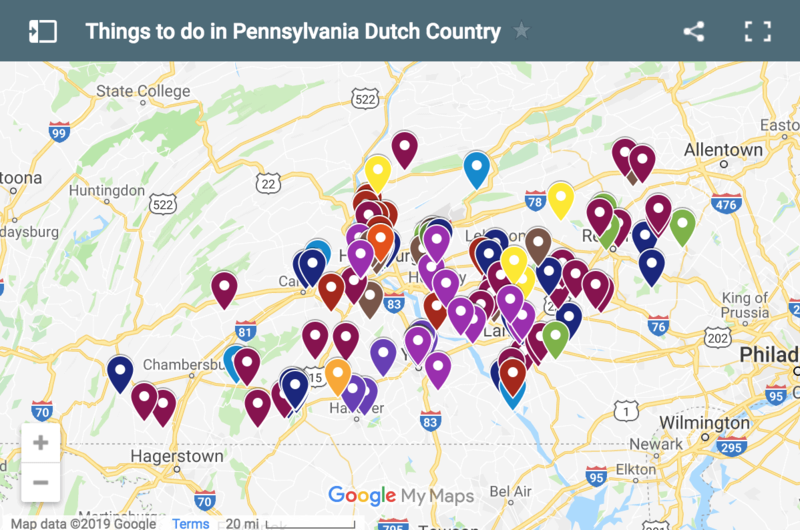 As the self-described “Sweetest Place on Earth,” it should be no surprise that Hershey is also one of the best places to visit in Pennsylvania during the holiday season. 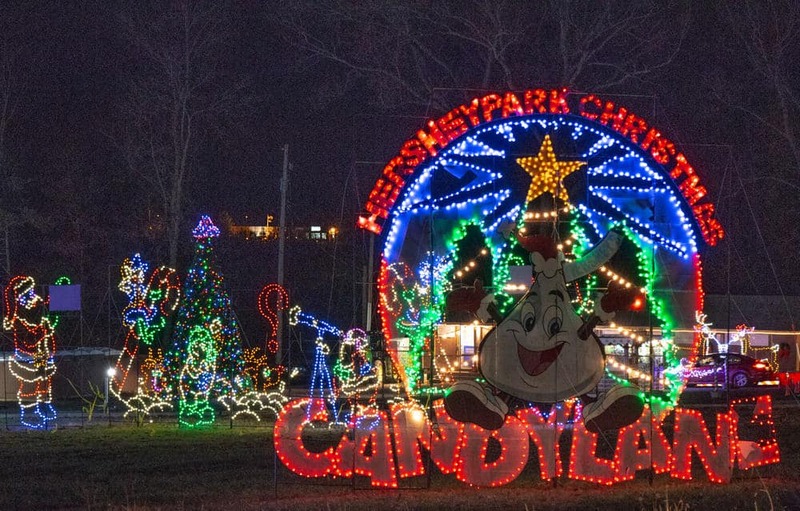 First opened in 2003, Hershey Sweet Lights is one of most beautiful holiday spots in the Hershey area. This drive-through attraction is somewhat hidden behind the Hotel Hershey, though it can be briefly glimpsed from Hersheypark Drive if you are on your way to Christmas Candylane at the park or just driving through town. 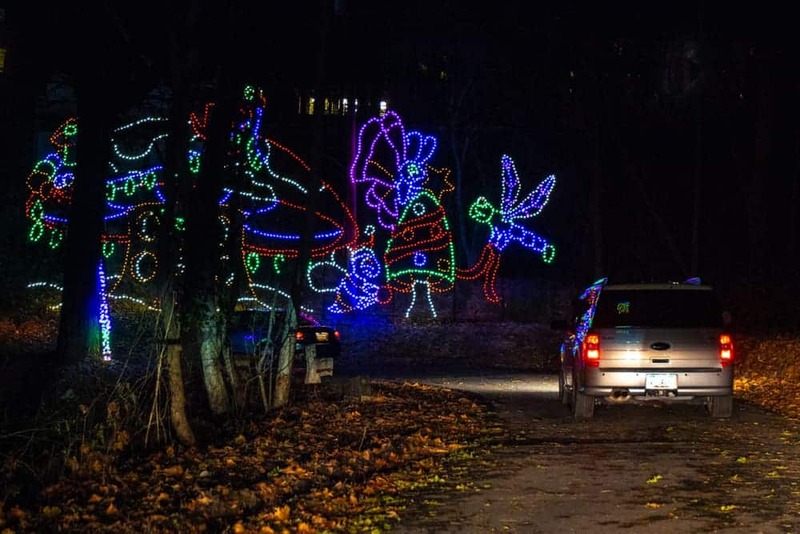 Having often caught at quick glimpse of these holiday lights many times in the past, I decided to drive through Hershey Sweet Lights with my family shortly after Thanksgiving 2018. 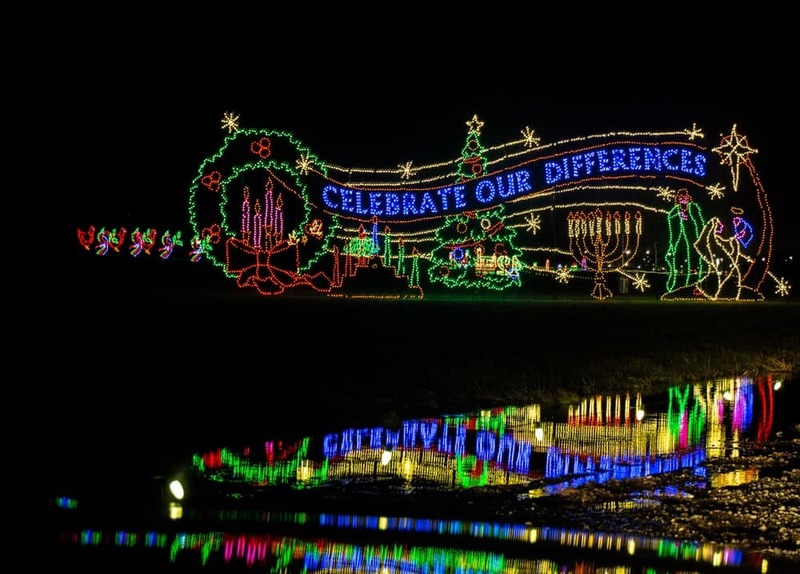 The displays at Hershey Sweet Lights range from festive to whimsical. 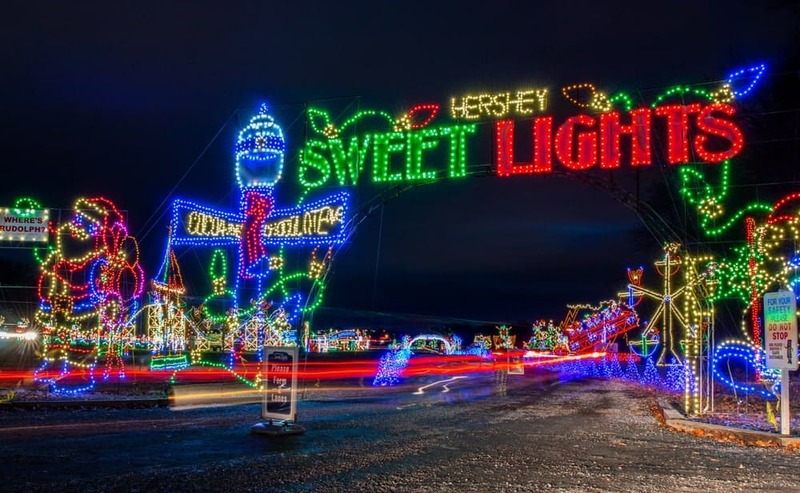 The entrance to Hershey Sweet Lights is located along Boat House Road (which you must access from Sand Beach Road as the road is closed at Route 39). After paying the per-car entrance fee, we started our drive through the lights. Since we visited shortly after the 5pm opening time on a weekday, we didn’t encounter much of a crowd. Even so, the pace probably proceeded a bit more slowly than we would have liked as we were at the mercy of the cars in front of us. However, this slower pace allowed us to see more of the lights, and gave us a chance to fully relish the experience. Since most of Hershey Sweet Lights is a single lane, you can only go as fast as the car in front of you. 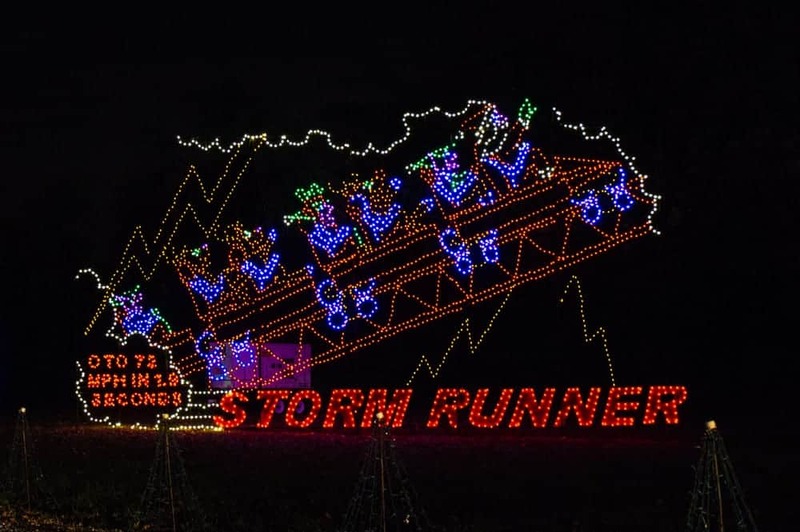 The entire Hershey Sweet Lights course is two miles in length and is said to have approximately 600 animated displays and 2 million lights! The largest and most impressive of these displays are right at the beginning in a large field near the main entrance. 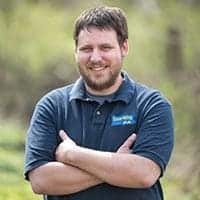 The large displays here include whimsical versions of Hersheypark rides, odes to the holiday season, and an animated version of the 12 Days of Christmas. Large displays dominate the first third of the Hershey Sweet Lights Experience. 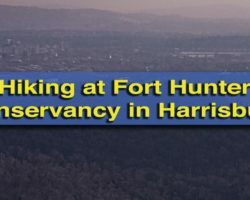 Once through the first area, traffic loops back around for a short distance before starting on a winding path through the woods behind the Hershey Hotel. In this area, the displays tend to be smaller and closer to the road, and their location scattered through the forest does create a great scene. Large banners over the road showcase the themes of the lights, which include “The Enchanted Forest”, “Victorian Village”, and “Your Favorite Tales”. Driving through the forest is a different experience from the first third of the attraction. 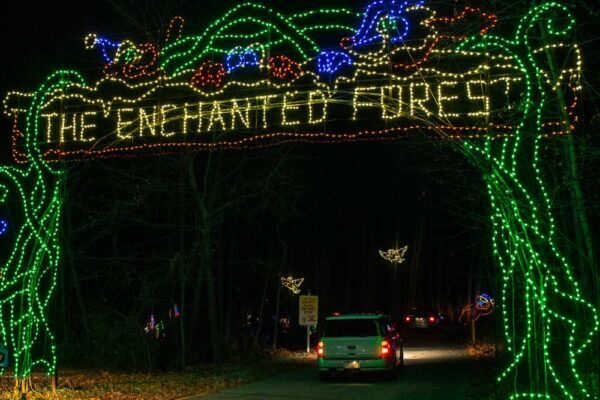 While it can be hard to figure out what some of the displays are, it’s nevertheless a fun drive through a beautifully decorated forest area and there are enough displays on either side of the road to keep the whole car entertained. 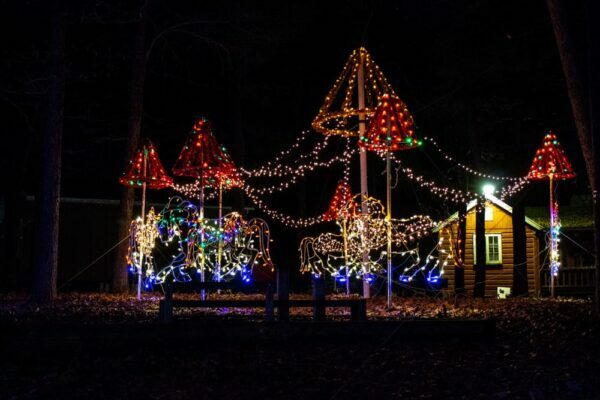 At the beginning of Hershey Sweet Lights, there is a sign encouraging kids to find the hidden Rudolphs scattered throughout the area, and there are enough of them around to keep kids of all ages occupied with finding them. Some of the lights highlight attractions at nearby Hersheypark. If I had one tip for visiting Hershey Sweet Lights, I would HIGHLY recommend visiting on a weeknight and, if possible, shortly after the 5pm opening time. While this is the only time I’ve visited, I can imagine that this attraction gets very crowded on weekends, especially the closer to Christmas you get. If you visit during peak hours, it not only means that it takes longer to get in, but it also means that you will be likely moving much more slowly through the attraction itself. 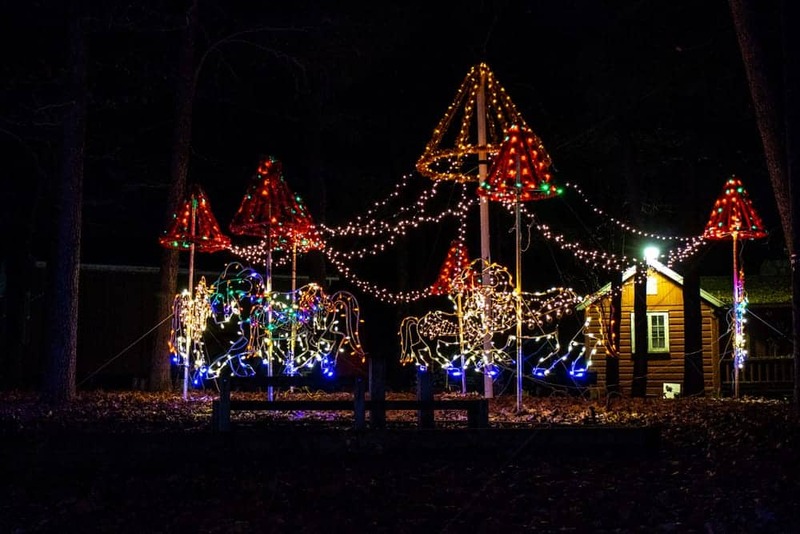 While this will give you plenty of time to enjoy the two million lights at Hershey Sweet Lights, it’s nice to be able to go at your pace a bit more freely. A Victorian Christmas carousel at Hershey Sweet Lights. 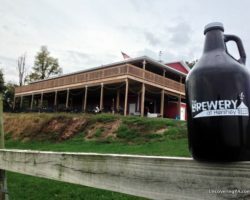 They also charge less per car Monday through Thursday than they do Friday, Saturday, and Sunday nights, so you’ll save a bit of money by visiting outside of the peak evenings. 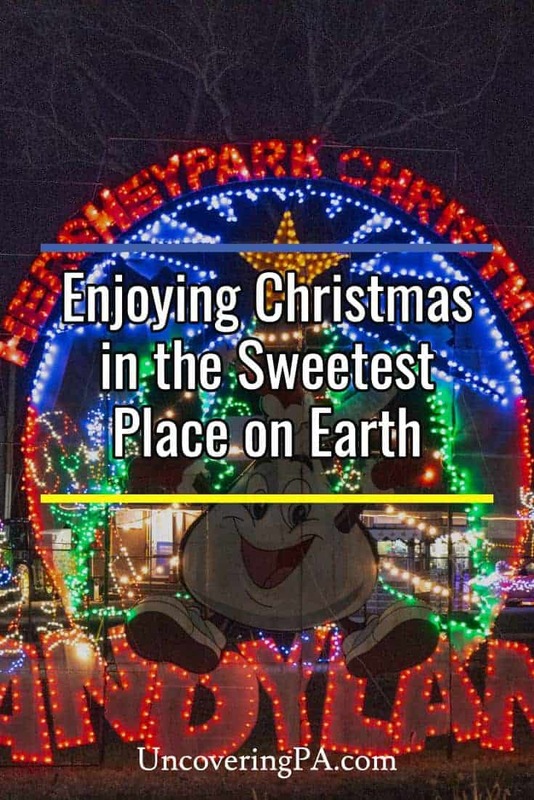 If you can manage to visit early on a weeknight, especially towards the beginning of the season or after Christmas, likely the best time to visit Hershey Sweet Lights, I definitely recommend a visit to this festive destination during the holiday season, especially if you’re already in the Hershey and Harrisburg area visiting other holiday attractions or visiting Hersheypark Christmas Candylane. 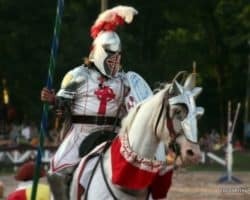 Looking for more holiday destinations in the region? 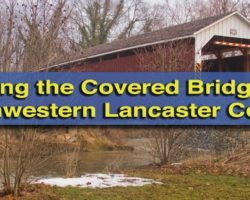 Check out Koziar’s Christmas Village, the best Christmas things to do around Lancaster County, and our favorite Christmas towns in PA. You can also catch a Hershey Bears’ hockey game during the winter. One of my favorite things to do during Christmas is driving through the lights.